What materials should be used for primary pathways? 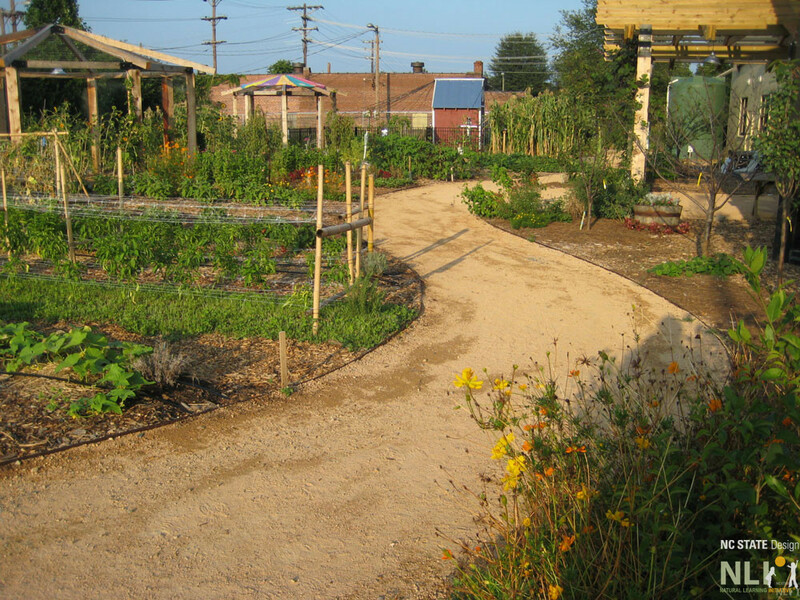 Primary pathways can be constructed of concrete, fine crushed stone or mulch. Each option has its benefits. Concrete pathways are the most stable, require the least amount of maintenance and are the most expensive. The concrete can be stained or have color integrated to give it a more natural color and help it blend into the surroundings. 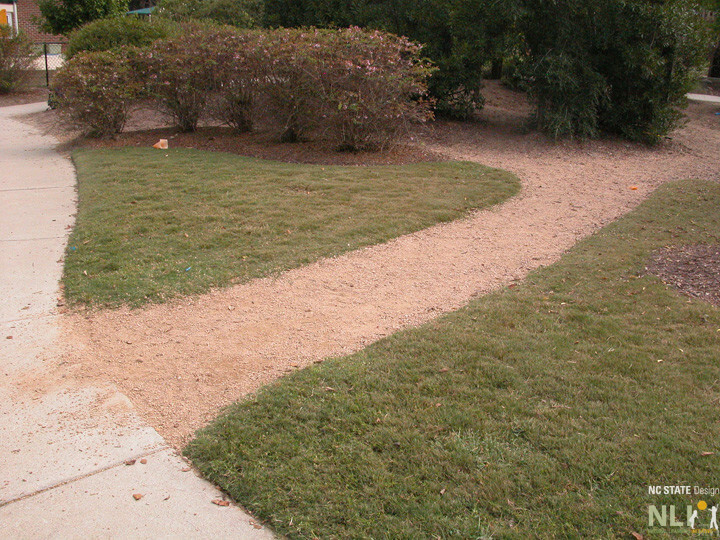 Fine crushed stone pathways are less stable and require some maintenance, but may be less expensive than concrete pathways, depending on your location. Mulch pathways break down over time and the mulch must be replenished. Mulch pathways require more maintenance than the other two options, but are the least expensive initial investment. Two children play chase on a tinted concrete primary pathway. 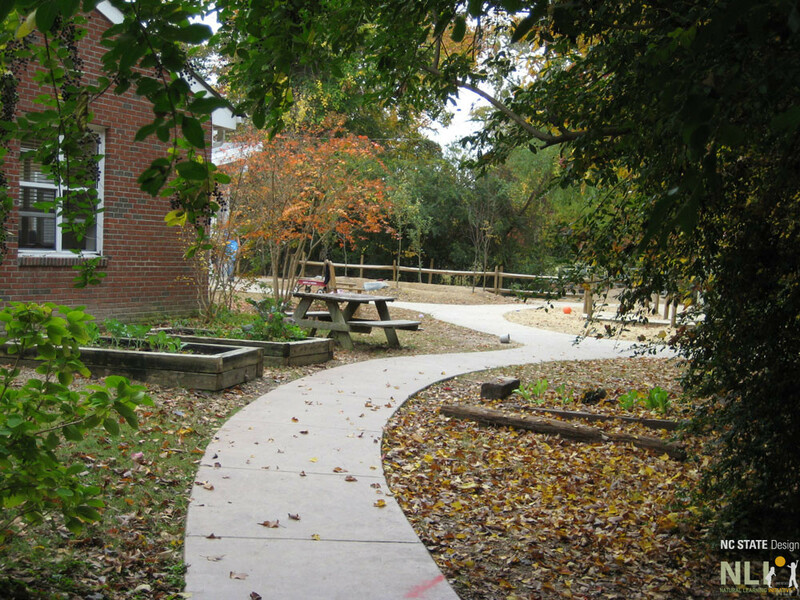 A curvy concrete pathway at Montessori Children’s School, Jacksonville, NC. A fine crushed stone pathway meets a concrete pathway.